Hookedblog is currently in Ireland in one of the countries oldest cities Waterford for the third edition of the Irish street art festival Waterford Walls 2017. We have spent our weekend pounding the streets of Waterford to capture photographs of the invited street artists at work on their walls. With close to 40 international and national artists taking part in this year's edition there was a lot of ground to cover even for a city the size of Waterford. And when you add in a few Irish hangovers, some changeling Irish weather both for us and the artists plus not forgetting Hurricane Gert, it’s been a hectic but fun few days. One artist who we managed to catch up with during our stay in the city was street artist Ador (Previously on Hookedblog). 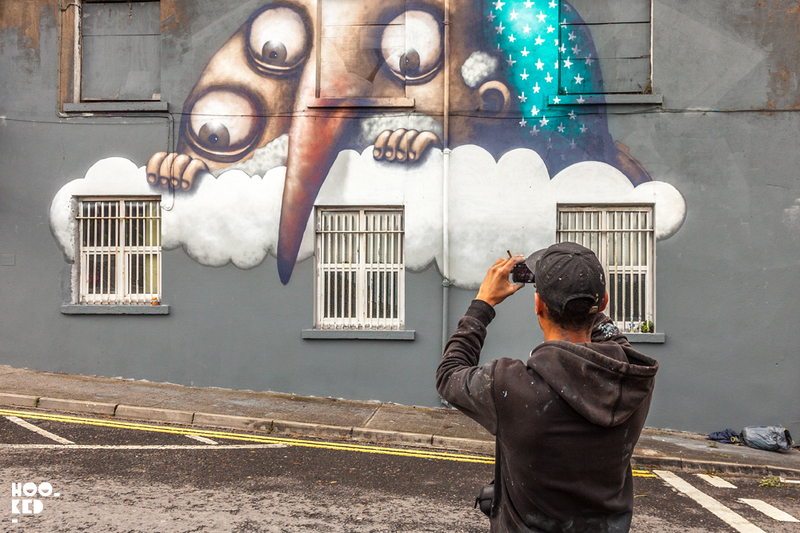 We last featured the French artist Ador on the site back in March 2016 when he spent some time in London painting a mural in East London along with a wall on Pedley Street, just of Brick Lane. 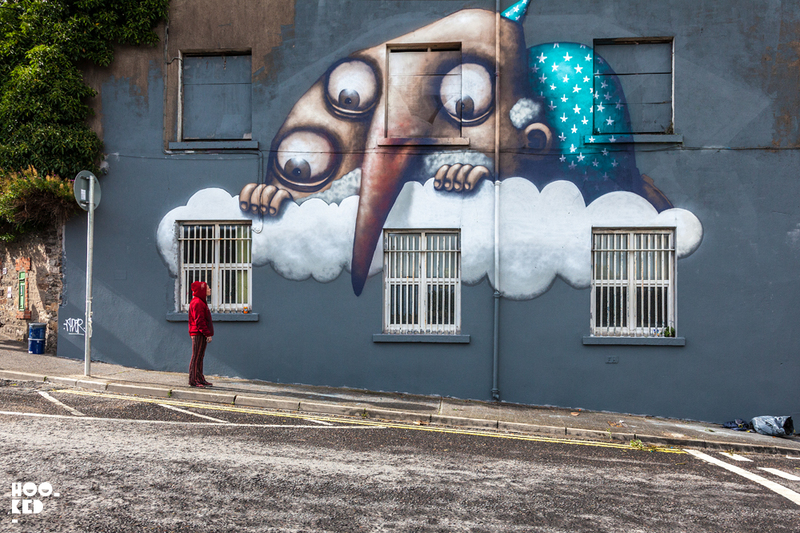 For his Waterford mural the artist has once again painted one of his signature characters and on this occasion, he has painted one of his three-eyed creatures in a piece Ador has named 'The Cloud'. 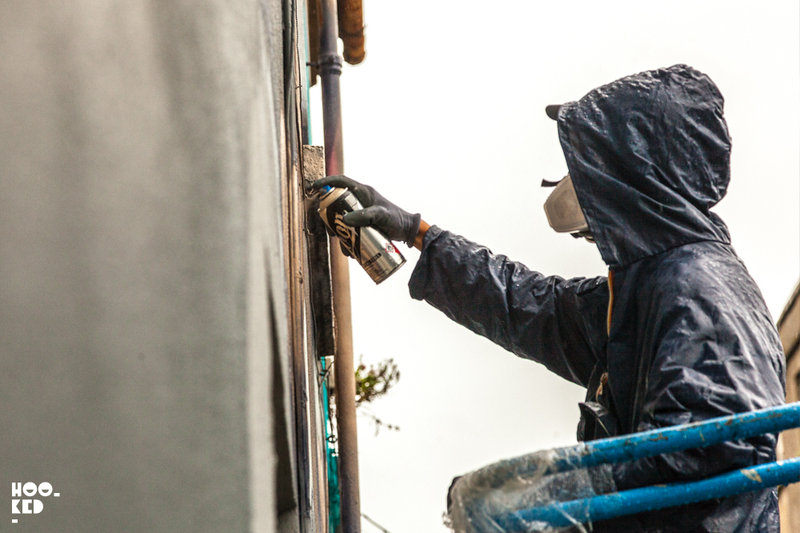 Despite the heavy rain showers, Ador managed to finish his mural on Friday leaving him time to add some smaller pieces to the cities walls. 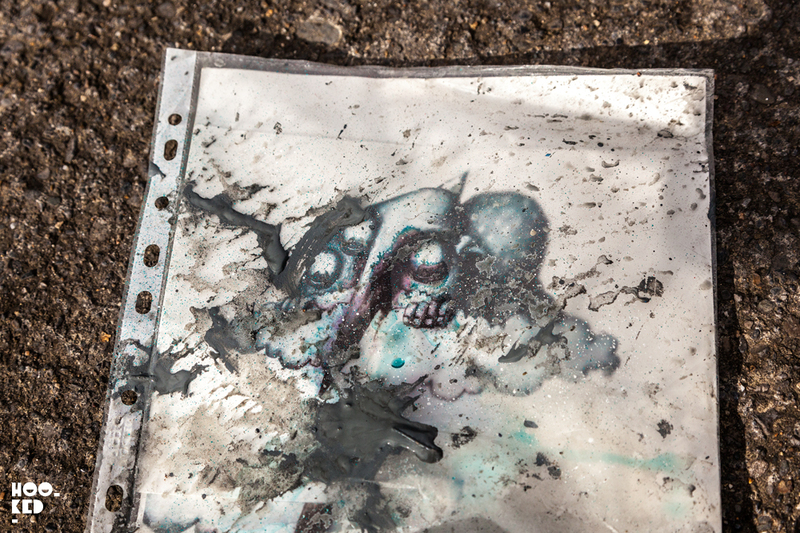 Have a look at some of our photographs below of Ador at work. 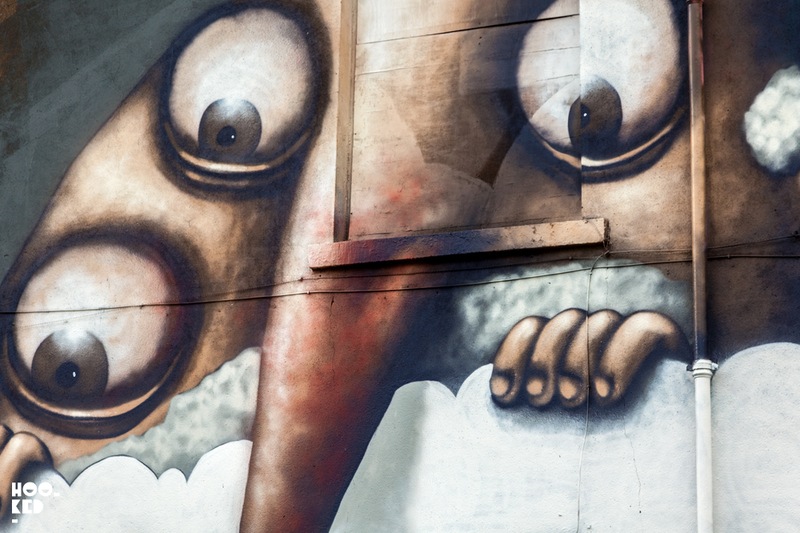 See more: French street artist Ador paints a new mural on Pedley Street, London. 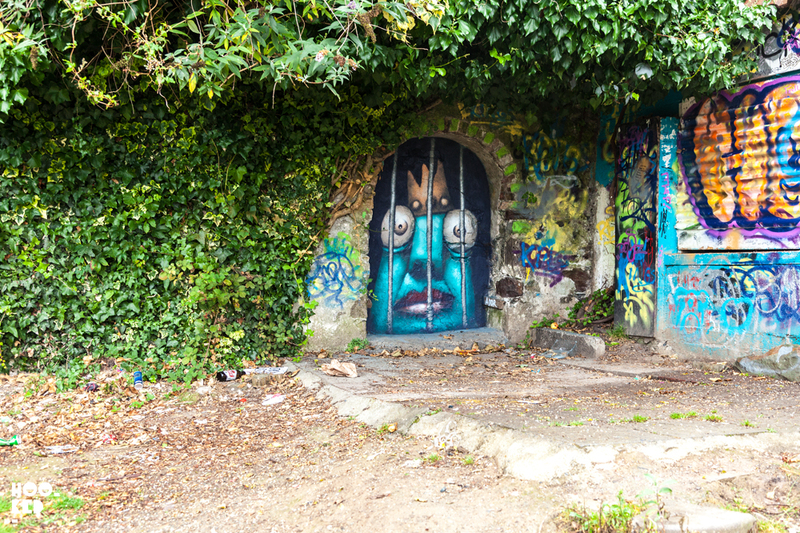 One of two smaller works the French street artist painted in Waterford following completion of his larger mural for the festival. The one pictured above can be located in the New Street Gardens right at the back of the space. Irish Street Art Festival Waterford Walls 2017. Ireland. 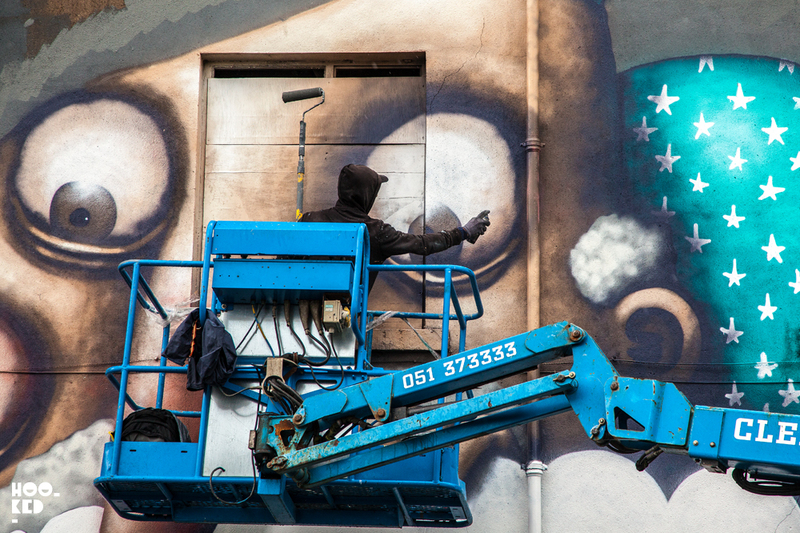 Waterford Walls International Street Art Festival runs from the 17th August to the 20th August 2017. More info can be found via the Waterford Walls website.